My power word is BELIEVE! You never know how much motivation and confidence you can provide by just having faith in them! Hearing “I Believe You Can!” fuels me with positivity and endless energy even in front of the seemingly unconquerable. I enjoyed running after a long day of work or school because it is a great opportunity for me to reflect upon my day and spend some time with my own thoughts without distraction. Over time, I realized that running has helped me to become a stronger person both physically and mentally! My happy pace often varies with the weather and how I feel. On a sunny day, I like to jog along a trail and submerge myself in the warmth of the sunshine; whereas on a slightly rainy day (which is most of the days in Vancouver) I like to run with bigger strides and faster pace so I can feel the breeze drifting past my ear! 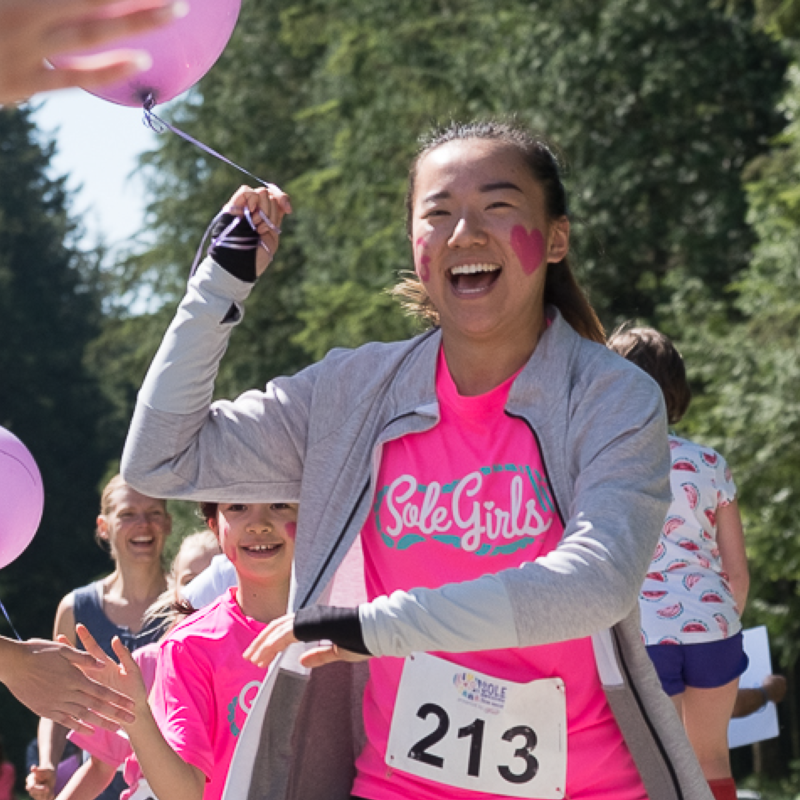 Sole Girls has given me a new outlook on how physical activity could be incorporated into improving mental health. The positivity Sole Girls always advocates has encouraged me to embrace myself with more love. I have also learned to pursue my goals with more self-confidence! Tina has been a Sole Girls since 2015 when she was still in High School! She is a now full-time student at UBC!